Here you can find recently published media on the project, including short movies and posters. Enjoy! Here’s a short ‘trailer’ on the talk I recently gave on the NIOO. More video’s to come in the near future. 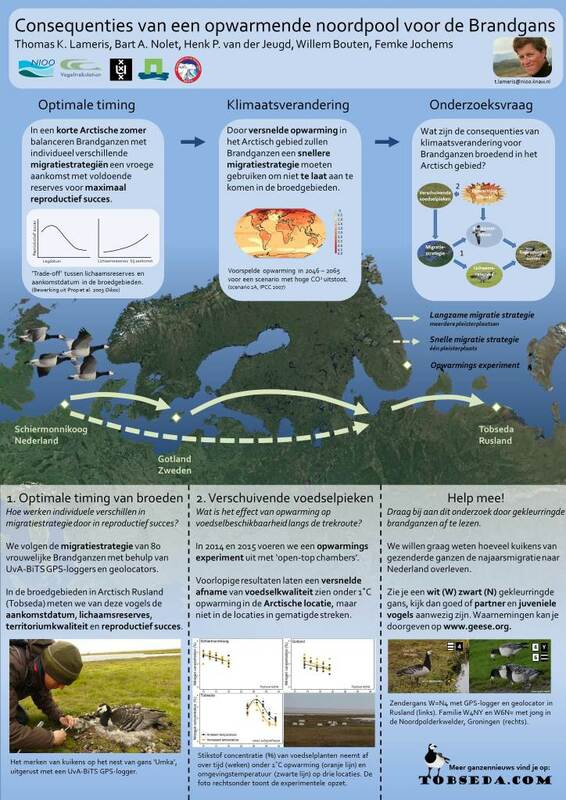 Two posters I presented on recent conferences, a Dutch (left) and an English version (right). 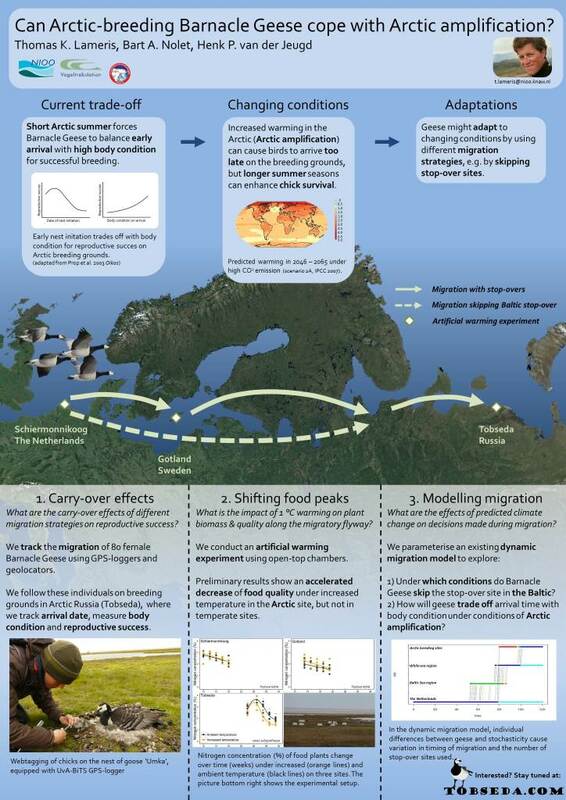 Can Arctic-breeding Barnacle Geese cope with Arctic amplification?